Is the lure of a shopping voucher, a house cleaner or even ten days of home-delivered dinners enough to tempt you from the comfort of hospital earlier than expected after the birth of your child? More and more private Australian hospitals are now offering these kinds of early discharge incentives. New mothers are often reticent to leave the comforts and help that comes with a hospital stay after birthing. But many private hospitals are now creating enticements for mothers to shorten their stays. The hospitals say it is to free up beds at busy times and give mothers added support and some perks on discharge. A choice of a $200 shopping voucher, 10 days of restaurant-quality dinners home delivered or six hours of house cleaning. Cabrini’s executive director Dr Simon Woods told Melbourne’s 3AW radio, “It’s popular for those who are having their second or subsequent babies, because they have other children at home and they’re keen to go home. It helps us too by freeing up beds”. 3AW also cites other Melbourne private hospitals, including Epworth Freemasons, Frances Perry and St Vincent’s Private Hospital as having early departure incentives. 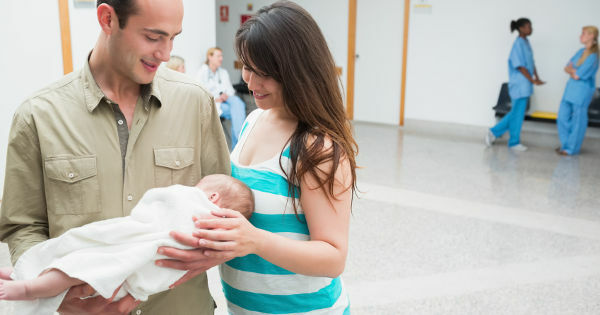 What do you think of hospitals offering incentives for mums to leave earlier after giving birth? Is this something you did after having your children?